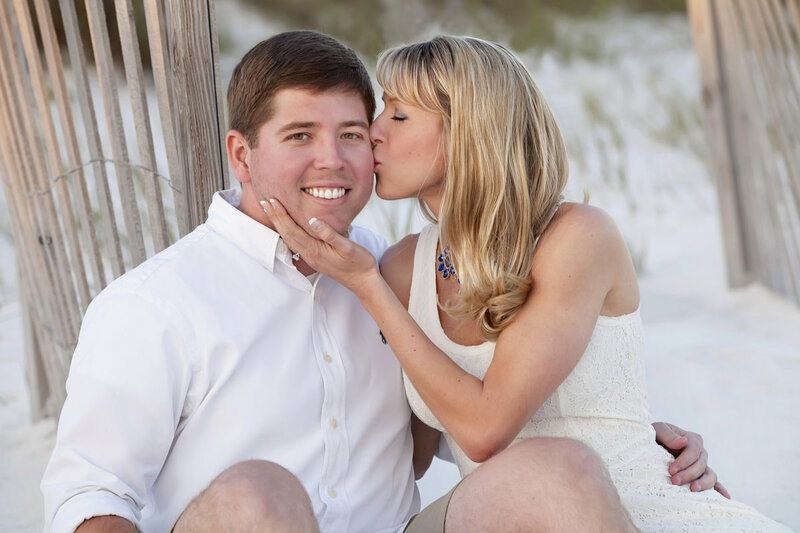 Panama City Beach Photography is more than just a photography session, we like to lay out on the beautiful beaches, shop until we drop, and eat the most mouthwatering, authentic seafood on the Emerald Coast. The scenery in Panama City Beach is one that you and your family will never forget! Tiffany Sims Photography absolutely loves every opportunity we get to photograph families on the beautiful beaches of Panama City. You and your family will never want to go to another beach after spending your vacation in Panama City. The Emerald Coast has the most breathtaking beaches in the nation and we are so thankful to live in a place like this! 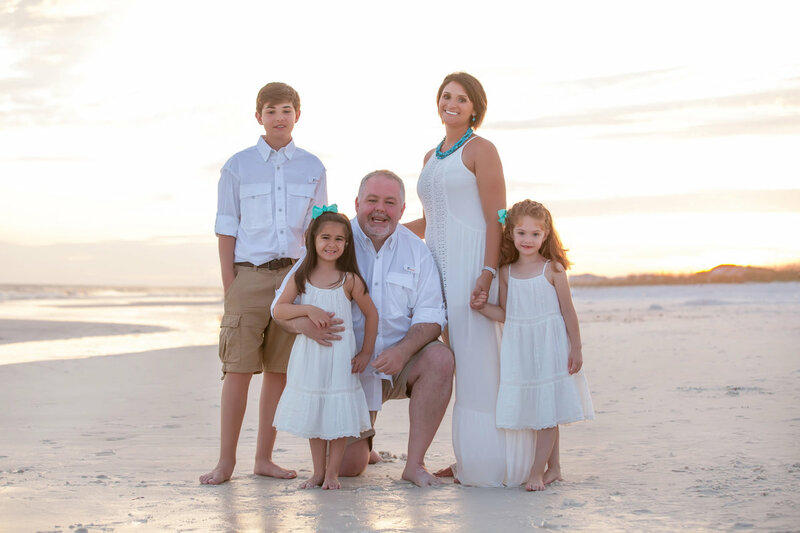 It is our goal at Tiffany Sims Photography to capture your sweet family memories while you visit the Emerald Coast. We know that documenting and photographing your time on some of the most beautiful beaches can be a once in a lifetime opportunity. Panama City, Florida is full of fun activities and attractions for the whole family. In Panama City, there is a little bit of everything, from hiking to laying on the beach, there is something for everyone. There are plenty of various museums, water parks, state parks, and even a zoo! This is one of the best places to bring you and your family on a vacation! Who does not love to stay in a luxury home or hotel with the beach as your backyard? We love being just a short drive or walk to the beach and we hope that you and your family get the opportunity to experience it for yourself. There are not enough words to describe how clear the water is, how soft the white sand is, or how relaxing it is to sit on the beach all day with nothing to worry or stress about. Having a beach day with your family is the most perfect stress reliever. As if all of that is not enough, not too far from Panama City is Panama City Beach, which has even more museums and other attractions/family activities! 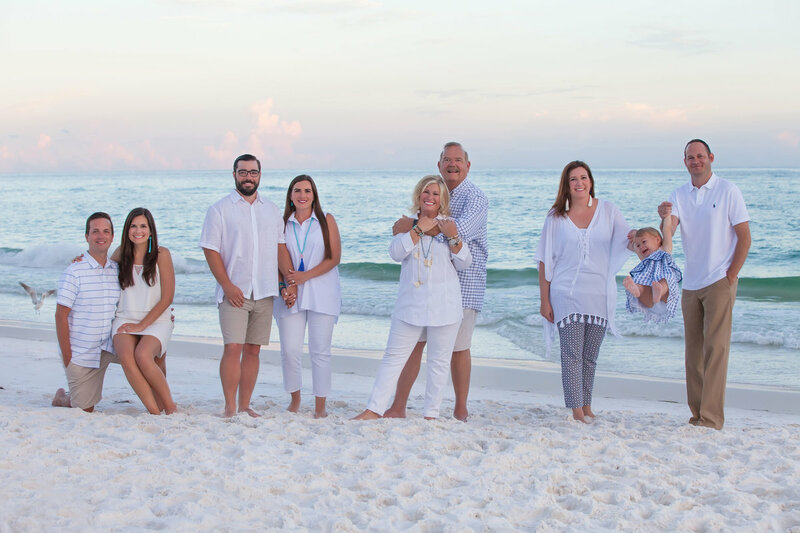 There is no better way to have a memento of your trip in Panama City Beach, or anywhere on the Emerald Coast, than family beach portraits! When you book your Panama City Beach Photography session it is super easy and you will cherish these captured memories forever. Everyone at Tiffany Sims Photography thoroughly enjoys seeing many loving families, big and small, create sweet memories. Once your time on the breathtaking beaches of the Emerald Coast are captured, they are sure to last a lifetime. We would love to capture your memories on the beach as a family!